The sedra of Chayei Sarah focuses on two episodes, both narrated at length and in intricate detail. Abraham buys a field with a cave as a burial place for Sarah, and he instructs his servant to find a wife for his son Isaac. Why these two events? The simple answer is because they happened. That, however, cannot be all. 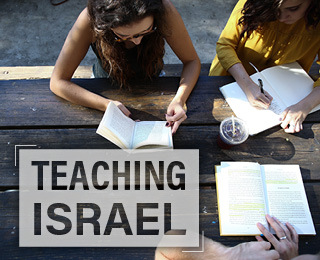 We misunderstand Torah if we think of it as a book that tells us what happened. That is a necessary but not sufficient explanation of biblical narrative. 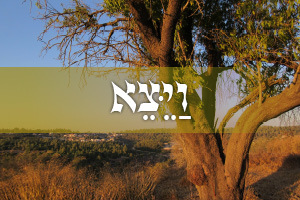 The Torah, by identifying itself as Torah, defines its own genre. It is not a history book. It is Torah, meaning “teaching.” It tells us what happened only when events that occurred then have a bearing on what we need to know now. What is the “teaching” in these two episodes? It is an unexpected one. Abraham, the first bearer of the covenant, receives two promises – both stated five times. The first is of a land. 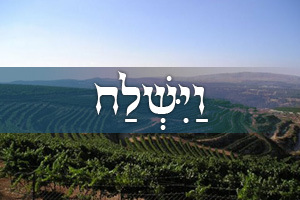 Time and again he is told, by G-d, that the land to which he has travelled – Canaan – will one day be his. These are remarkable promises. The land in its length and breadth will be Abraham’s and his children’s as “an everlasting possession.” Abraham will have as many children as the dust of the earth, the stars of the sky, and the sand on the sea-shore. He will be the father, not of one nation, but of many. What, though, is the reality by the time Sarah dies? Abraham owns no land and has only one son (he had another, Ishmael, but was told that he would not be the bearer of the covenant). The significance of the two episodes is now clear. First, Abraham undergoes a lengthy bargaining process with the Hittites to buy a field with a cave in which to bury Sarah. It is a tense, even humiliating, encounter. The Hittites say one thing and mean another. As a group they say, “Sir, listen to us. You are a prince of G-d in our midst. Bury your dead in the choicest of our tombs.” Ephron, the owner of the field Abraham wishes to buy, says: “Listen to me, I give you the field, and I give you the cave that is in it. I give it to you in the presence of my people. Bury your dead.” As the narrative makes clear, this elaborate generosity is a façade for some extremely hard bargaining. Abraham knows he is “an alien and a stranger among you,” meaning, among other things, that he has no right to own land. That is the force of their reply which, stripped of its overlay of courtesy, means: “Use one of our burial sites. You may not acquire your own.” Abraham is not deterred. He insists that he wants to buy his own. Ephron’s reply – “It is yours. I give it to you” – is in fact the prelude to a demand for an inflated price: four hundred silver shekels. At last, however, Abraham owns the land. The final transfer of ownership is recorded in precise legal prose (23: 17-20) to signal that, at last, Abraham owns part of the land. It is a small part: one field and a cave. A burial place, bought at great expense. 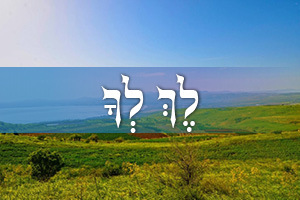 That is all of the Divine promise of the land that Abraham will see in his lifetime. The next chapter, one of the longest in the Mosaic books, tells of Abraham’s concern that Isaac should have a wife. He is – we must assume – at least 37 years old (his age at Sarah’s death) and still unmarried. Abraham has a child but no grandchild —no posterity. As with the purchase of the cave, so here: acquiring a daughter-in-law will take much money and hard negotiation. The servant, on arriving in the vicinity of Abraham’s family, immediately finds the girl, Rebecca, before he has even finished praying for G-d’s help to find her. Securing her release from her family is another matter. He brings out gold, silver, and clothing for the girl. He gives her brother and mother costly gifts. The family have a celebratory meal. But when the servant wants to leave, brother and mother say, “Let the girl stay with us for another year or ten [months].” Laban, Rebecca’s brother, plays a role not unlike that of Ephron: the show of generosity conceals a tough, even exploitative, determination to make a profitable deal. Eventually patience pays off. Rebecca leaves. Isaac marries her. The covenant will continue. These are, then, no minor episodes. They tell a difficult story. Yes, Abraham will have a land. He will have countless children. But these things will not happen soon, or suddenly, or easily. Nor will they occur without human effort. To the contrary, only the most focused willpower will bring them about. 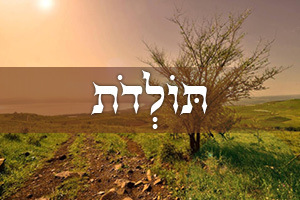 The divine promise is not what it first seemed: a statement that G-d will act. It is in fact a request, an invitation, from G-d to Abraham and his children that they should act. G-d will help them. 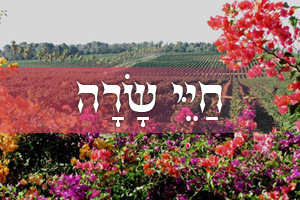 The outcome will be what G-d said it would. But not without total commitment from Abraham’s family against what will sometimes seem to be insuperable obstacles. A land: Israel. And children: Jewish continuity. The astonishing fact is that today, four thousand years later, they remain the dominant concerns of Jews throughout the world – the safety and security of Israel as the Jewish home, and the future of the Jewish people (“Will we have Jewish grandchildren?”). Abraham’s hopes and fears are ours. (Is there any other people, I wonder, whose concerns today are what they were four millennia ago? The identity through time is awe inspiring.) Now as then, the divine promise does not mean that we can leave the future to G-d. That idea has no place in the imaginative world of the first book of the Torah. 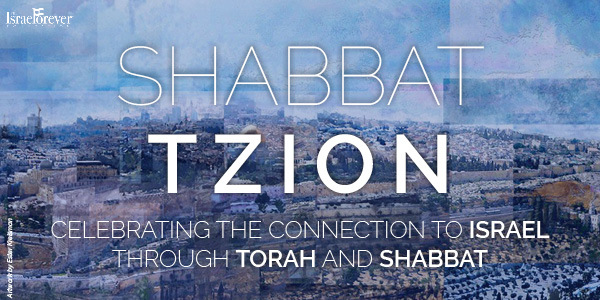 To the contrary: the covenant is G-d’s challenge to us, not ours to G-d. The meaning of the events of Chayei Sarah is that Abraham realised that G-d was depending on him. Faith does not mean passivity. It means the courage to act and never to be deterred. The future will happen, but it is we – inspired, empowered, given strength by the promise—who must bring it about. 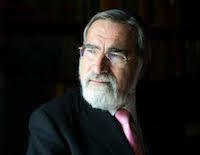 Rabbi Lord Jonathan Sacks is an international religious leader, philosopher, award-winning author and respected moral voice. Since stepping down as the Chief Rabbi of the United Hebrew Congregations of the Commonwealth, Rabbi Sacks has held a number of professorships at several academic institutions including Yeshiva University and King’s College London.